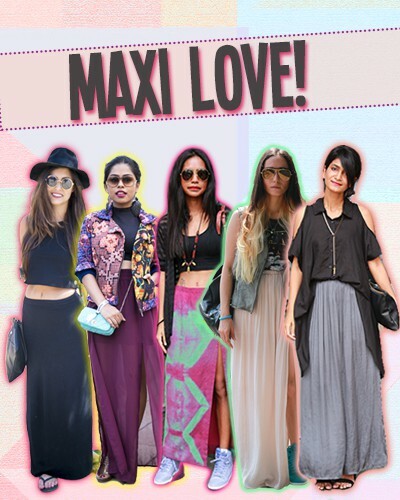 Max Up Your Style: How To Rock The Maxi Skirt Every Single Day! Sunday brunches call for comfy yet stylish clothes. So what’s better than maxi skirts? They’re super versatile, high on comfort and extremely stylish! 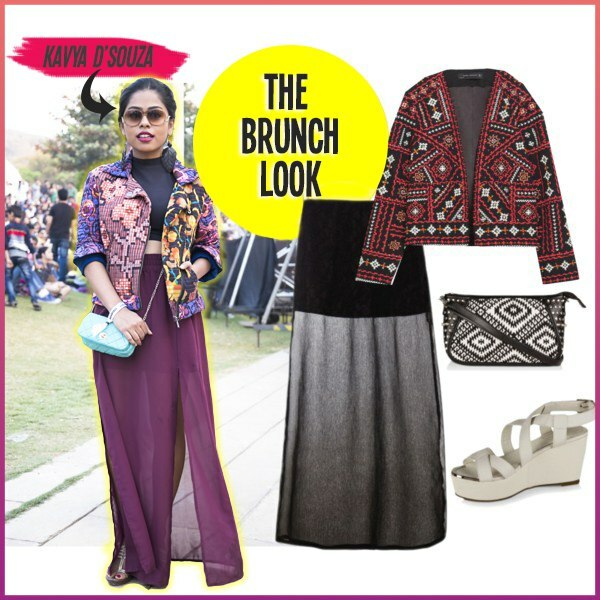 The key to a perfect brunch look is that you want to keep it fresh and effortless. So throw on a cutesy crop top, add a fun jacket and finish your look with a cool bag for a fun brunch look. POPxo Recommends: AKA Mid Heel Front Toe Plated Shoes Designed By PATRICK COX For KOOVS, Rs 2,195; Koovs DESI DRAMA QUEEN Sling Bag, Rs 1,850; Zara Ethnic Embroidered Jacket, Rs 6,990; Slip Away Black Skirt- StalkBuyLove, Rs 990. A holiday look is incomplete without a maxi skirt and a floppy hat! So, to get your holiday groove on, pick a pop-coloured maxi skirt that screams summer, team it up with a oh-so-boho tassel top, and a super cute statement sling to keep your essentials in. Opt for a really pretty pair of flats to keep it comfortable while you get busy playing tourist! POPxo Recommends: Koovs DESI DRAMA QUEEN Boxy Bag, Rs 2,650; StalkBuyLove RED CRUSH SKIRT, Rs 949; Forever 21 Embroidered Fringe Cami; Rs 1,089; Forever 21 Wide-Brim Wool Fedora, Rs 889. Yes, your daily look need not be all about sweats and tees! Get dressy this summer and amp up your everyday look with a fun wrap maxi skirt! Pair it with a snazzy gillet, a cool studded top and ankle boots for a day full of errands around the town. And don’t forget to add a pair of funky sunnies to save your peepers from the sun! POPxo Recommends: Koovs JEEPERS PEEPERS River Sunglasses, Rs 1,595; ASOS Wrap Maxi Skirt in Jersey, Rs 1,824; Mango MEDIUM DENIM GILET, Rs 3,490; River Island Ankle-Length Black Boots, Rs 6,990; Zara T-shirt with Faux Leather Detail, Rs 1,990. Shopping trips and other outdoor activities on a sunny day call for easy breezy outfits with a touch of boho-glam! And printed maxi skirts are just perfect for such occasions. Team it with tube tops, dainty layers of necklaces, a basic handy satchel paired with lace-up sneakers, and stunning frames to work this look. POPxo Recommends: ASOS Dacre Lace Up Shoes, Rs 2,282; ASOS Band of Gypsies Frill Bandeau Top With Crochet Trim, Rs 2,008; Mango TRANSPARENT ROUNDED SUNGLASSES, Rs 1,790; Forever 21 Vibrant Maxi Skirt, Rs 1,369; Koovs BLUEBERRY Multi Tassel Neck Piece, Rs 1,099; Forever 21 Runaround Faux Leather Satchel, Rs 1,599.
Who said office look needs to be boring? Update your work look with a basic flowy maxi skirt and go colour-blocking this summer! Pick a neutral-coloured maxi skirt with a pop-coloured blouse and add some drama to your everyday office look. A chunky pair of statement necklace and some shiny soles for your feet are perfect to take your office look from day to night with ease! POPxo Recommends: Zara Blouse With Loose Sleeve, Rs 2,990; Steve Madden Surfside Silver Wedges, Rs 5,999; Koovs Pleated Maxi Skirt, Rs 1,100; Forever 21 Western-Inspired Chain Necklace, Rs 679; Forever 21 Envelope Crossbody Bag, Rs 1,299. MUST READ: Jump Into MUST READ: How to Choose The Right Maxi Dress This Summer!